Nine Castlebar swimmers were among the more than 300 swimmers from 63 clubs who competed at Swim Ireland's Irish Long Course National Championships at the end of April. Competition was fierce as the swimmers availed of their final opportunity to qualify for the international competitions taking place this summer. First up was the 50m breast stroke, with Nicholas Quinn just narrowly beaten for the gold, but still securing a PB on a time of 29.23 in the final. In the 200m freestyle, Eoghan Grady reached the final in the 200m freestyle, and while he didn't improve on his previous best time, securing a final place in this calibre of event is an achievement in itself. Sinead Mylett also qualified for a final in this event, and finished on 2:13.64, with Paula McDonagh achieving a five-second PB to finish on 2:16.42. Next up was the 100m backstroke, which saw Sinead Mylett qualify for another final, where she achieved a PB of 1:07.67. There was a PB also for Niamh Heneghan, who finished on 1:11.14. The longer swims included the 1500m freestyle, in which Eoghan Grady finished on 16:35.49; and the 800m freestyle, which earned Paula McDonagh a 26-second PB of 9:49.46. The 100m freestyle saw Sinead Mylett break the minute barrier for the first time, achieving a well-deserved PB of 59.58, but her semi-final time of 1:03.32 was unfortunately not fast enough to earn her a place in the final. There was gold for Nicholas Quinn in the 100m breaststroke, and a well-deserved PB of 1:02.76. 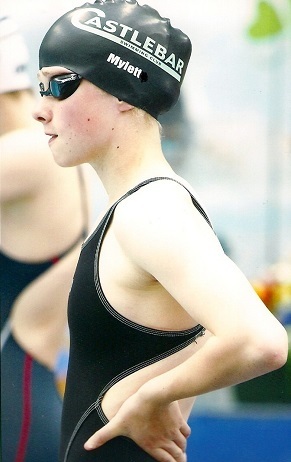 Quinn, now studying at Edinburgh University, will now represent Ireland in the European Open Water and Swimming Championships in Berlin in August. Patrick Livingstone finished on 1:13.83 in the same event, with Mark Dervan achieving a PB of 1:14.29. 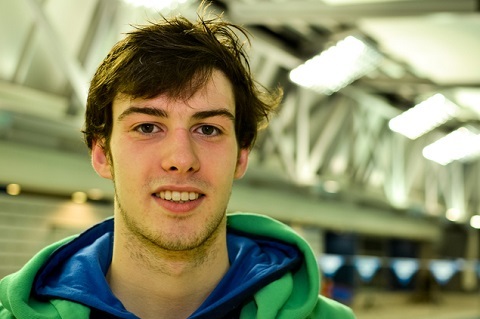 Cillian Melly reached the finals of the 400m IM, and achieved a fine PB of 4:49.35. He also recorded a second PB in the 50m fly (28.24). There was another final appearance for Eoghan Grady in the 400m freestyle, and he did well to place sixth on a time of 4:09.00. Cillian Melly also reached the 100m fly final, and gained a PB in splits of 1:00.31. In the 200m IM, Patrick Livingstone achieved an almost three-second PB of 2:23.69. Sinead Mylett had two more final qualifications in the 200m backstroke (2:29.34) and the 50m backstroke (a PB of 31.55). She took the bronze in the 50m backstroke, and reached a semi-final in the 50m freestyle, finishing on 28.17. Siofra Horan achieved a very fine almost five-second PB of 2:52.57 in the 200m breaststroke, and Nicholas Quinn had another standout performance in the same event, recording a three-second PB of 2:17.68 and winning a silver medal. Two additional swimmers reached finals in the 200m breaststroke: Patrick Livingstone, who finished on 2:35.36, and Mark Dervan, who recorded a six-second PB to finish on 2:39.98. The final event of the four-day event was the 800m freestyle and it proved to be a great success for two Castlebar swimmers. Eoghan Grady recorded an excellent 16-second PB to finish in fourth place on 8:41.70, while Cillian Melly was only a few places behind on 9:04.51, an 11-second PB for him. All in all, a very successful competitive outing for the Castlebar swimmers, and some great results which help make all the training and hard work worthwhile. Continued credit to coach Marian English, who continues to give so much of her time to the development and encouragement of the swimmers.